Abby was born in Houston, Texas in 2000. 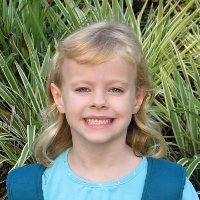 A week after she was born, she moved to Austin, Texas and in 2003 she moved to Orlando, Florida where she attended kindergarten and first grade. In 2008, she moved back to her birth city, Houston, Texas, where she attended second grade. In 2009, she moved back to Orlando, Florida, where she is currently a senior in high school and plays water polo. Emily was born in Austin, Texas in 2003. A month after she was born, she moved to Orlando, Florida. In 2008, she moved to Houston, Texas, but in 2009 she moved back to Orlando and is currently a freshman in high school. She loves playing video games. Isabelle was born in Orlando, Florida in 2005. Of her sisters, she’s the only one who didn’t move one month after being born. In 2008, she moved to Houston, Texas, but she moved back to Orlando in 2009 where she is currently in the seventh grade. She plays the flute in the middle school band.